As we celebrate the spirit of generosity on #GivingTuesday, we’re highlighting LA-based organizations to consider giving to alongside CAA. 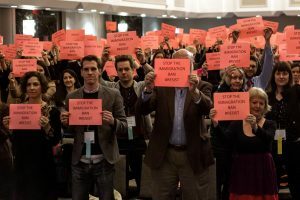 This past year, we fought for the causes of our members and those in the arts and culture field at large. Your contribution helps to ensure that CAA continues our mission in promoting the visual arts and their understanding through advocacy, intellectual engagement, and a commitment to the diversity of practices and practitioners. The larger our voice, the larger the impact we will have. 18th Street Arts Center, Los Angeles. 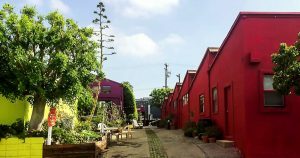 One of our recommended 2018 conference stops, the 18th Street Arts Center is one of the top twenty artist residency programs in the US. They value art-making as an essential component of a vibrant, just, and healthy society where the creative process is just as important as the outcome. 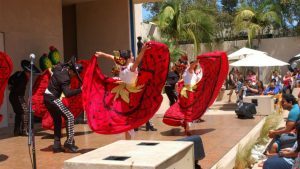 Cinco de Mayo celebration at MOLAA in Los Angeles. Another one of our 2018 conference stops, the Museum of Latin American Art (MOLAA) is the only museum in the United States dedicated to modern and contemporary Latin American art, and serves the greater Los Angeles area. 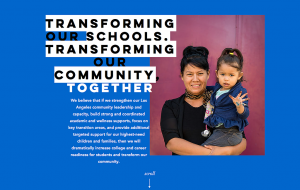 Promesa Boyle Heights is a collective of residents, youth, schools, and community organizations united in lifting community voices and working together to transform conditions and improve opportunities for students and families in Los Angeles.